Directions: Combine peach nectar and orange juice in a pitcher, and stir well. 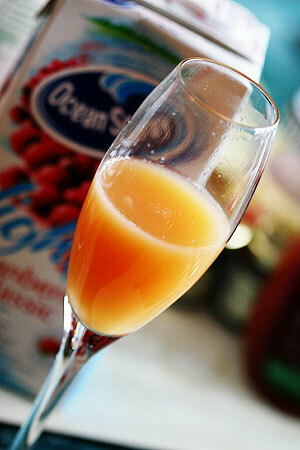 Spoon 1 tablespoon grenadine syrup into each of 10 champagne glasses. 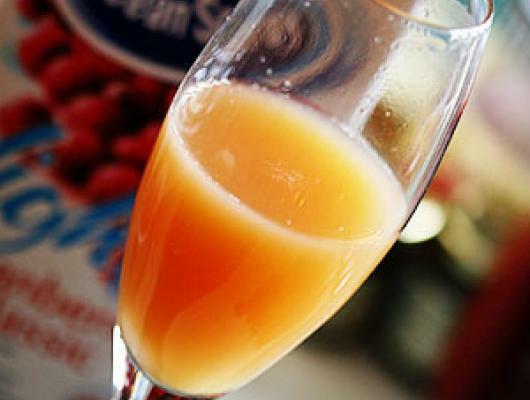 Add 1/3 cup of the orange juice mixture to each glass, and top with chilled champagne. Serve immediately.